OMG!!!! I really can’t stop crying while watching this movie!!! HUAAAAAAHHHH!!! I love u Miura!!! of course u too! Yui! KOIZORA banzai! I also can’t stop crying!the manga is so touching! huhuhuuu…. hiro…you to cruel to mika! 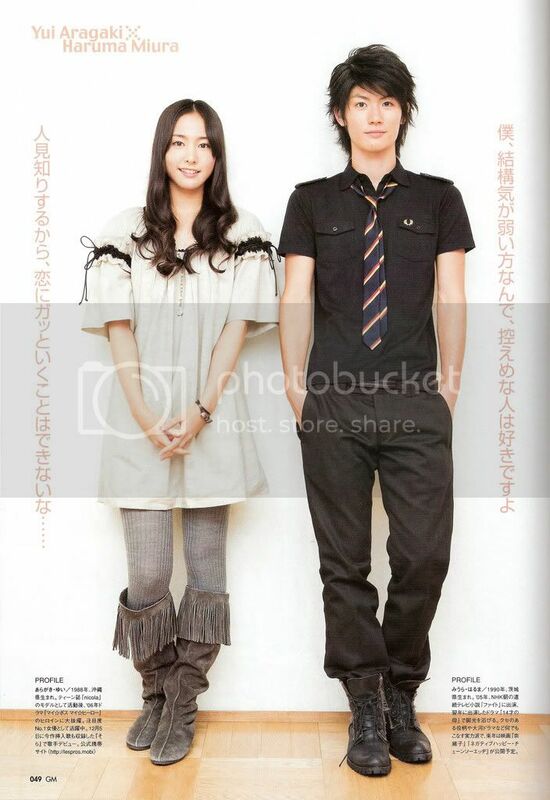 Nice picture yui and haruma …. Hope they become real couple..
..haruma is so cute and handsome..
Umm,, i love the picture,, but whts the movie,,? where can you see this movie? It would be better if they were the one who starred in Koizora drama’s version.. but Seto Koji and the girl were awesome too.. 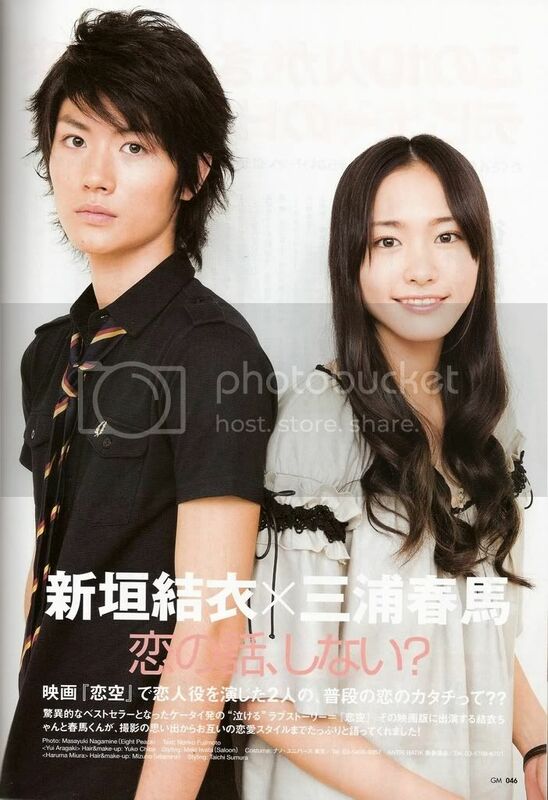 It just that I like Miura Haruma n Yui Aragaki teamed up!! you two are the best couples! !i love you haruma miura!! go!go!go!its the best japanese movie i ever had!! you two are very SUITABLE! !so much…..